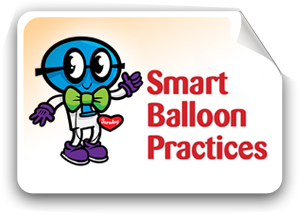 Follow Smart Balloon Practices to uphold the integrity of the professional balloon community—and ensure everyone can fully appreciate the joy balloons bring to life’s occasions! Don’t let go: Inflate. Weight. Enjoy. 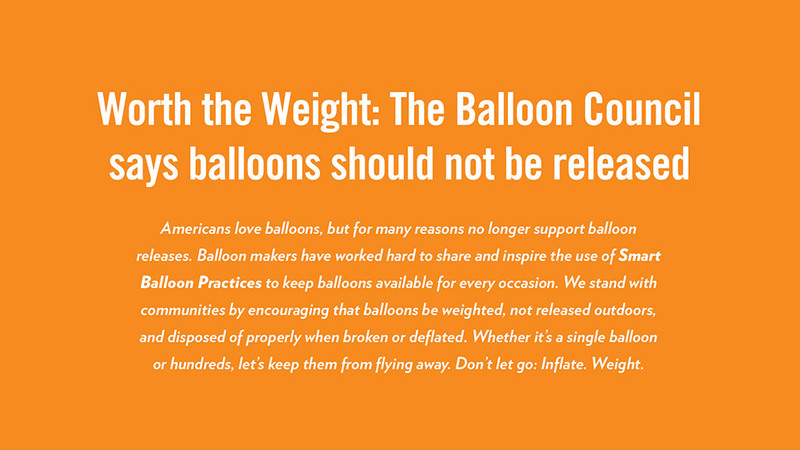 Read our stance on balloon releasing here. Several years ago, The Balloon Council—and the balloon industry as a whole—faced a major challenge as it fought an attempt to outlaw helium-filled foil balloons in California. Although the legislation was ultimately vetoed, this process was an important reminder of the need to revitalize industry public relations activities. That’s why The Balloon Council established Smart Balloon Practices, an educational and awareness campaign developed to serve several purposes: Educate consumers on the proper handling of balloons; Stress the importance of never releasing balloons; Maintain and nurture the public’s positive feelings about balloons; and Prevent anti-balloon legislation attempts in the future. Smart Balloon Practices is a global awareness effort, not just limited to California or the United States. All members of the worldwide balloon industry—manufacturers, distributors, decorators, party retailers, entertainers—have a shared responsibility to promote the campaign. The newest initiative in our education efforts is the “Meet Faraday: Smart Balloon Practices” campaign. 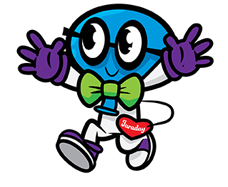 This family-friendly version of the national education campaign includes a life-sized costumed mascot, named Faraday, who is the official Spokesballoon for The Balloon Council. Faraday visits communities to promote the proper use and disposal of balloons to people of all ages. For more information on the “Meet Faraday” campaign contact Lorna O’Hara or visit our consumer facing website here. All balloons should be tied securely to a weight that will keep them from releasing into the air. Be sure to individually tie each balloon to the weight, so if they become detached from the weight, they will be individual rather than “clustered” (tied together) balloons which can more easily become entangled in power lines. Do not release balloons into the air. Although it is very rare, problems can occur if they become tangled in power lines and they can turn into roadside litter if not disposed of properly. Read about our stance on balloon releasing HERE. Dispose of deflated or popped balloons properly. Latex balloons are made of natural rubber latex and are biodegradable, but may cause allergic reactions in people who are allergic to natural rubber latex. Educate consumers on how they can still purchase balloons and not be affected.